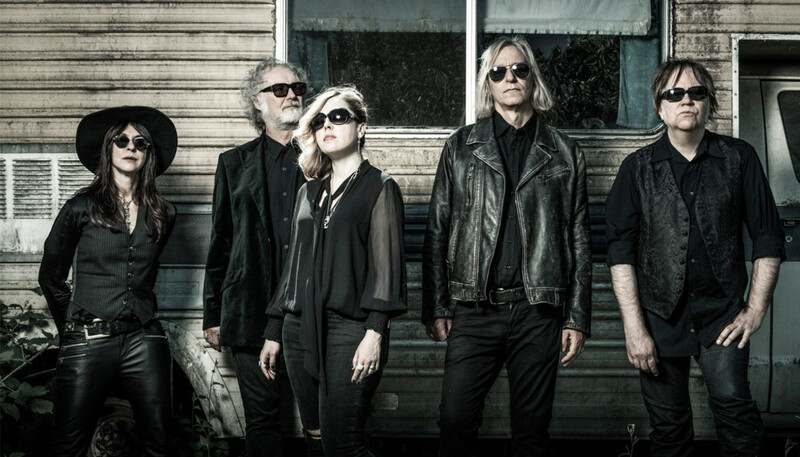 Following Sleater-Kinney’s storming comeback in 2015, lead singer Corin Tucker teamed up with Peter Buck of R.E.M. 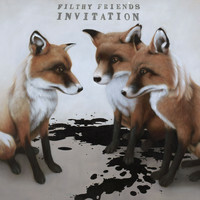 to finish their first full-length as alt-rock supergroup Filthy Friends. We gave Tucker a call to find out more about Invitation, and to discuss climate change, racial tension and maintaining hope in the era of President Donald Trump. How did you and Peter Buck come to work with each other? Had you known each other for a long time? We had met each other – we definitely played at The Crocodile in Seattle, I think in 1997 – and of course I was a huge R.E.M. fan, so we were acquainted but we weren’t close friends or anything. And then he asked me to sing on a song he’d written for his first solo album, and it worked out really well. I think a week or so later he called me and said, “Hey, I think we should do an album together.” (Laughs) I was like, “Wait, what? !” But he just thought we had good musical chemistry, and I thought so as well. I wanted it to be truly collaborative – where I would really be writing the songs with him, and writing all the lyrics that I sing – so that’s what we agreed upon. We started writing together when he was in Portland, kinda off and on. Was there any sense of trepidation about working collaboratively with someone you had admired for a long time? Absolutely. I was like, “I can’t believe I’m doing this.” I was so nervous at first. But I discovered that he was truly wide open as a collaborator. He really does want my input and fully gives me license to rewrite things he’s working on. He’s not precious about anything, which is really important to me because in Sleater-Kinney we’re always re-writing things and changing things on the fly and I think it makes for a much better song. And I realized that R.E.M. probably wrote that way too because Peter’s completely open to that, and just a really collaborative, fun person to work with. In terms of the songwriting partnership, how does working with Peter differ from working with Carrie [Brownstein] in Sleater-Kinney? Did you set out to explore musical territory you hadn’t with R.E.M. and Sleater-Kinney? Honestly, it was a little less planned out than that. I think it was more like, “Let’s see what happens.” And so I think that we started just trying a bunch of different things and seeing what came out of it and what we liked, and what maybe didn’t work. I mean, we have a lot of material: some things didn’t make it on the record. When was the album recorded? We recorded it in Portland at Type Foundry Studios, and I think we started in 2013. Peter was making his second solo record and we got in and did a bunch of basics there quickly, during the same time that he had studio time. And then we came back with the vocals over the year and we did a rush mix, but because we have a lot of other projects going on, we came back to the album in 2015. So Bill Rieflin [of King Crimson], who plays drums on the album, he went back and worked on producing the album and he re-mixed it in Seattle. We really took our time until we felt like we had something that was in the best place it could be as a finished work. The first song on the album, “Despierta”, originally appeared on an anti-Trump compilation. When was it written? This song was actually written before he declared candidacy, which is kinda weird. But I felt like there were these forces that were already at work, in terms of a sense of there being a changing demographic in the United States. You know, there are a lot more people of color here, a lot more Latinos, and there’s a lot of debate on how the United States should handle immigration and racial politics. And that, to me, was a song about people taking the power and standing up for what they believe in; standing up to the status quo or the people in power who are not willing to stand up against racism. It’s so sad that that’s where we are today. You know? So even though, really unfortunately, Trump won and we’re in a horrible place right now politically, I still have hope. If we can organize young people to vote, I still have a lot of hope for this country. In Sleater-Kinney you’ve always been unafraid to address big issues, but do you think that everyone feels to speak a responsibility to speak up right now? Absolutely. Absolutely. Not just musicians, but regular people. You can’t be silent when this is happening in our country; when our President is endorsing racists. It’s unthinkable, it’s unacceptable and we can’t let this happen. We can’t condone this kind of behaviour. Especially artists, because we do have a voice and we do have a way of expressing ourselves, we just definitely need to speak up and say this is unacceptable. Oh yeah. It’s so shocking and depressing that this is where we’re at in 2017, you know? It’s really easy to get stuck on that but you have to look at the bigger picture – that these white supremacists are a really small group of people and that the majority of Americans do support equality in our country. I think that there really is an opportunity to reform the way we do things in this country. There is an opportunity to take all the ugliness and get to work and really change how we deal with the police and law enforcement. We also have to change the way that our elections happen; we have to get the corporate money out of politics so that it’s not just rich people who have the ability to run and get elected. You know, it was only a couple of years ago that Barack Obama was President, right? He won. And the majority of the people voted for him twice. So we just can’t let go of our belief in this country, even though we’re in a really difficult place right now. You’ve also been raising funds for climate change awareness initiatives, right? What happened was, this wonderful artist Michelle Noach – who does a lot of work around climate change – she organized a festival in Norway [Sun Station Vadsø] that was centred on climate change in the Arctic Circle. So we went there and did that. That was just an awesome experience. Is that something you might do more of in the future? Absolutely. I mean, after Trump got elected I joined Greenpeace, you know? (Laughs) I’m not necessarily a joiner but I was just like, “I can’t believe this is where we are right now.” So yeah, absolutely. Does writing in the context of this band afford you freedom to write about subjects you might not with Sleater-Kinney? I think I’m always up for writing about different subjects. I’m one of those people where things pop into my mind randomly, or I’m chewing on something in the back in my mind and it comes out in songs. But yeah, definitely with Filthy Friends I’m the only lyricist and I’m the main singer on all the songs – at least on this record, I don’t know what’s gonna happen in the future. So, yeah, there is absolute freedom there for me to just go off on something I’m thinking about. At this stage in your career are you still learning things about yourself? Yeah. I would say that I’ve taken this record as a really great opportunity to work with one of the great American songwriters. You know, I think Peter is an incredible guitarist, and I guess I’m old enough to be a little bit more open with strengths and weaknesses as a songwriter. I am not a traditional guitar player; I never really took the time to take lessons and learn all the scales and all the keys and everything, and Peter knows all that. So he’ll often call things out and I’m like, “I have no idea what you’re talking about.” (Laughs) And it’s fine because I’ll get there eventually because I do have a really good ear. But it’s something that I’d like to work on, learning all the keys and all the scales and be able to play whatever on the guitar. I don’t exactly have a tonne of time right now, because I’m still raising two kids with my husband, but you know that’s something that I’d like to work more on in the future. Do you have plans to tour this record outside of the US? We would like to. There have definitely been requests to have that happen, so hopefully that will happen in 2018. And you mentioned the next Filthy Friends album – so that’s definitely happening? And in terms of Sleater-Kinney, should we be expecting a follow-up to No Cities To Love? I would like for us to do more, yeah. We didn’t know what to expect after so long away and not being a band at all, and it was really, really gratifying to have such a welcome reception. So I’m hoping that we’ll be able to get to that. But, you know, it takes time. Obviously everyone’s super-busy but we’ll get there, I think.